2202 Thu 19 Apr 2017 LESSONS The Yoga Suttas of Patanjali: a manual of Buddhist meditation Translation and free adaptation of the article published on the blog “Theravadin - Theravada Practice Blog” (http://theravadin.wordpress.com/). possibly contemporaneously to the author. practice. But this would be pure speculation, because there is so far no studies or historical finding that supports this understanding. “nirvana” and “karma” in Western culture, in Christian countries. “yogic” (pragmatic? ), as devised by Patanjali at Yoga Sutra. 3. Kayagata-sati and Iriyapatha, or “Asana” means the cultivation of mindfulness and four correct postures. 6. Sati, mindfulness, keep the object in mind, often quoted along with the comments dharana canonical. and its relevance to the practice of Buddhist meditation. Buddhism) in the second century BC? the first centuries of Buddhist practice. meditation? Could this be of some help in triangular or point of which was the direction of former Buddhist meditation? evolved and how they were implemented and explained / taught. then that can be “merged” into other forms of practice religious. incorporate this idea in their religious views. supposed to Arahant one, or Awakened (!!!). That is, according to the text of Patanjali, the “Samadhi of Conduct” would be conceptually the same as the Buddhist Liberation. Pali Canon (or tried to distort to suit your context religious). preceding context of Buddhism in the Yoga Sutra was written? translation that often aboard with questions. penetrated, would result in more or less a wild spin. mental object equivalent to a minor sensory stimulus. sustained (Vicara) and (iii) equanimity (Upekkha). mindfulness, originally meant or pointed. (In Theravadin blog post is a rather plain and that shows how sati yoniso manasikara are coming in practical terms, check this link ). few sensory impressions that may enter. According to this concept, mindfulness would be a result of sati and not the practice of sati in itself! improper care. This being the fact that unfortunately idealize the interpretations of some Westerners who want to say “Buddhist”. observation of what appears to be in front of (yathabhuta). proposition to which the system of Yoga certainly does not refer. distorted the merger would allow access to insight and liberation. and terminology for the New Testament, which gives this ring a Buddhist. message you want to spend. Read yourself to be the object of meditation, or an instruction (anusāsana) on the meditative practice (yoga). mind,” which is very active and its activity suggests a walk in circles. Probably the most direct (and correct) translation. (Only) then he who sees is allowed (to be) in (his) true nature. (Otherwise) at other times we become (equal) to this activity (of mind). What one sees and looks directly (paccakha), taking as a reference - it’s called experience. Illusion is the wrong understanding, based on something (lit. “one way”) that is not really. silent babble that passes through our being. Mental activity in the absence of mental objects is called Sleep / Torpor. Not to be confused (or not lose) the object (sensory) previously experienced is called Memory / Mindfulness. We have here the words turn and nirodha in the same sentence! It can not be more Buddhist canon than this! Interestingly, however, is the current use and non-metaphysical terms of this stretch. They are applied in a simple process of meditation, in particular the process of concentration meditation. This can not go unnoticed and goes directly in line with readings jhanic cultivation practices in Buddhism. Detachment is the mastery (VASI-kara) of perception, the dropping of the seat (vitaṇhā) by the following (anu-savika, lit.’s Subsequent flow) experience a prey to view. This is the climax: the abandonment of the current headquarters of the senses, based on personal revelation / knowledge of self. used more loosely in place as would suttas). case, is identified with the state of the first jhana. Could this mean that when the Buddha mentions these two texts in Pali, which implicitly means samatha-vipassana? jhana. Could it be then that the term “sampajaññatā” was seen as the first result of a concentrated mind? keep the object is under constant danger during the siege of sense. (This accomplishment) is based on detachment and previously applied for any subsequent activities. explained that, if perfected, would lead to enlightenment. (For those) with a firm determination reached (this accomplishment, the first Dhyana / jhana). Or based on devotion (devotion) to a Lord (a master of meditation). The Lord (the Master) that is no longer influenced by the outcome kammic impurities and past desires. “the Lord” (ie your God). It is this that lies the seed of omniscience unmatched. These are the causes of mental distractions (they fall due). The physical and mental pain arises in the body, the shaking of the inhale and exhale conjução occur with such distractions. jhana. It is strange that all this is on the list, but is presented in a very different interpretation. pain as well as luck and misfortunes. progression in four jhana (which deserves to be studied separately). Or the inhale and exhale, which is also an excellent exercise in meditation. It helps to stop and control the increasing mental activity that occurs through the power of the senses. And the mind becomes free from sorrow and radiant. the attack of the senses to the mind. realization, or state of completion. There is the state of realization is “with thought” and marked by impurity of speech of conscious thought, the internal speech. Likewise, the state with and without research and consideration (vicara) is judged by subtlety of the object. Here we are somewhat hampered by the language, and tempted to ask: by whom discerned before the non-self (anatta)? But even this is a samadhi with seed / question. In this way, the truth is filled with wisdom. And this wisdom is of a different kind of knowledge acquired through learning. Such activity (meditative and induced) obstructs born (all) other activities. access to that which is samadhi no “seeds” (nibbīja). attempt is being made here in the final set of samadhi, to explain it. activity more subtle (the sankhara) back. 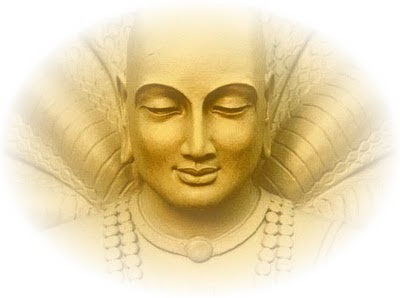 This is the first chapter on the Samadhi Yoga Sutra of Patanjali.